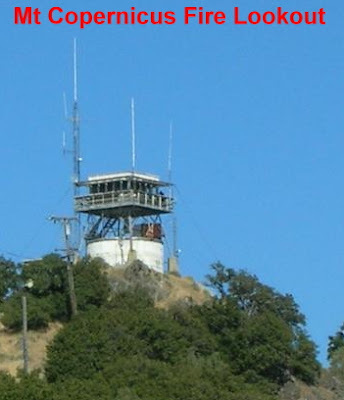 A fire lookout in Santa Clara County that has been closed for 17 years will reopen this week, Cal Fire officials announced today. The Cal Fire Santa Clara Unit will reopen the Copernicus Peak Fire Lookout at noon Thursday. The Copernicus Peak Lookout is located a half-mile east of Lick Observatory. The lookout was constructed in 1938 and served as one of several fire lookouts within the Santa Clara Unit, a 1.4 million-acre stretch."